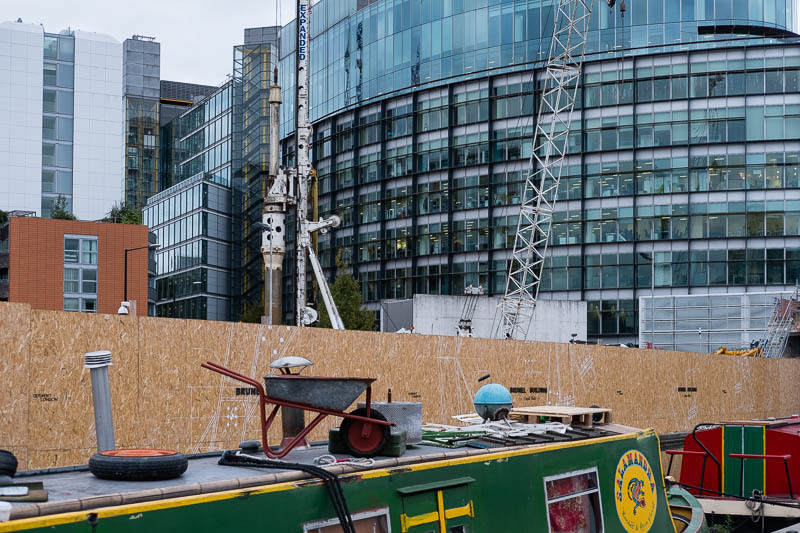 A canal boat moored next to a building site. If I had that boat I would move it far away! Probably however it is cheaper living there than anywhere. I could think of better places to moor a narrowboat! One thing that any visitor can't help noticing about the city of London is the construction everywhere. It is certainly a city on the move. I like the contrast in this image. Indeed, work, work everywhere, and nice colours on that boat!